Wim Wenders is one of the most important figures to emerge from the New German Cinema period of the 1970s. Alongside directing atmospheric auteur films the artist works with the medium of photography, and his poignant images of desolate landscapes engage themes including memory, time, loss, nostalgia and movement. 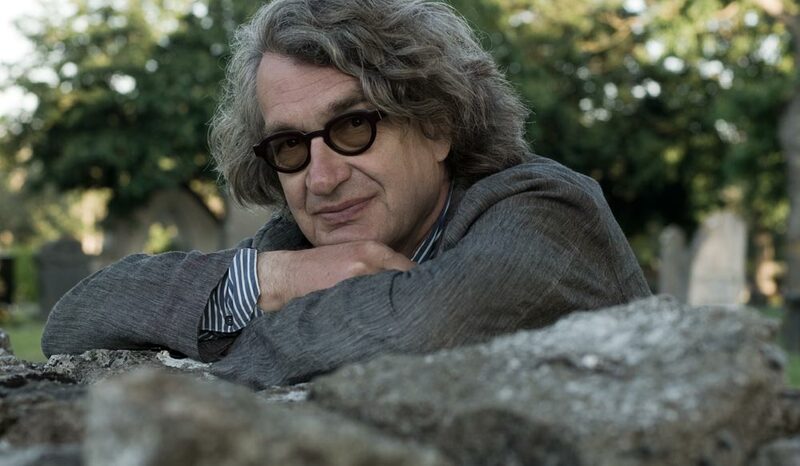 Born in Düsseldorf on August 14, 1945, Wim Wenders first studied medicine and philosophy in Freiburg and Düsseldorf before moving to Paris in 1966 to follow his vocation and become a painter. But instead of entering the École des Beaux Arts he enlisted as an apprentice in the studio of german painter and engraver Johnny Friedländer and spent his afternoons and evenings at the Cinématèque Française absorbing their entire program. This "crash course in the history of cinema" became a key period for Wenders' intellectual formation. He started to write about film and saw this newly discovered art as a "continuation of painting by other means". But his career as a filmmaker only began when he discovered that in Munich the University for Film and Television was about to open, the first of its kind in Germany, and he was accepted for the Directing Class as one of the students of the first hour. From 1967 to 1970, parallel to his studies at the HFF, Wenders worked as a film critic for the newspaper Süddeutsche Zeitung and the magazines Filmkritik, Twen and Der Spiegel. By the late 1960s Wenders had made several short films, some of which were influenced by American artists including Andy Warhol—these were characterised by their long and seemnigly uneventful scenes – and he finished his studies with his first full-length film, Summer in the City (1970). Along with fifteen other directors and writers, in 1971 he founded the company Filmverlag der Autoren and then his first own production company Road Movies in 1977. He obtained international success with films like The State of Things (1982), Paris, Texas (1984) and Wings of Desire (1987), which won him numerous awards, including the Palme d’Or at Cannes. With a strong love of music, Wenders’ best-known observational piece is the documentary Buena Vista Social Club (1999) which subsequently received an Oscar nomination. Photography has always accompanied and fundamentally complemented Wenders’ work as filmmaker since childhood. His long-running artistic project, Pictures from the Surface of the Earth, began in the early 1980s and was subsequently pursued by the artist for the next twenty years. The initial photographic series in this body of work was titled Written in the West which Wenders produced when criss-crossing through the American West in preparation for his film Paris, Texas (1984). This became the starting point for the artist’s nomadic journey across the globe, travelling through countries including Germany, Australia, Cuba, Israel, Armenia and Japan to take photographs which capture the essence of a moment, place or space. Wenders’ photographs have been exhibited at an international level since the 1980s in key artistic venues such as the Centre Pompidou in Paris (1986), the Venice Biennial (1993), the Hamburger Bahnhof in Berlin (2001), the Guggenheim Bilbao (2002), the Museum of Contemporary Art in Sydney (2003), the Shanghai Museum of Art (2004), the Scuderie del Quirinale in Rome (2006), the Museu de Art in São Paulo (2010), the Deichtorhallen in Hamburg and the Museum of Multimedia Art in Moscow (2012), the Fundació Sorigué in Lleida (2013), Villa Pignatelli in Naples and GL Strand in Copenhagen (2014). A major retrospective of his photographs is being presented at Stiftung Museum Kunstpalast in Düsseldorf in April 2015. The numerous marks of recognition received during his career include membership of the Academy of Arts Berlin since 1984. He was awarded honorary doctorates at the Sorbonne University in Paris (1989), the Theological Faculty of University of Fribourg (1995), the University of Louvain (2005) and the Architectural Faculty of the University of Catania (2010). He is presently the European Film Academy president and a member of the order Pour le Mérite. Currently he is teaching film as a professor at the Academy of Fine Arts in Hamburg.